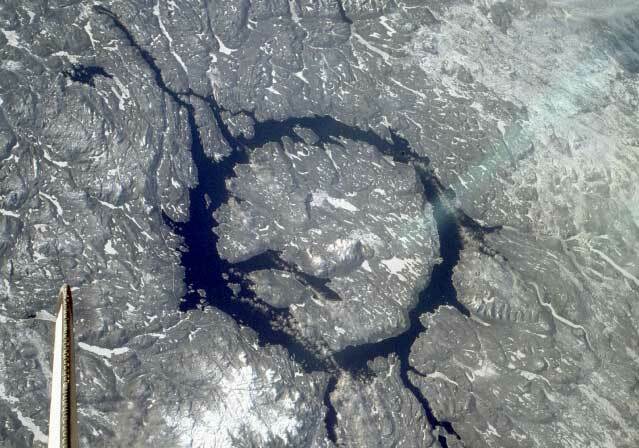 Explanation: The Manicouagan Crater in northern Canada is one of the oldest impact craters known. Formed during a surely tremendous impact about 200 million years ago, the present day terrain supports a 70-kilometer diameter hydroelectric reservoir in the telltale form of an annular lake. 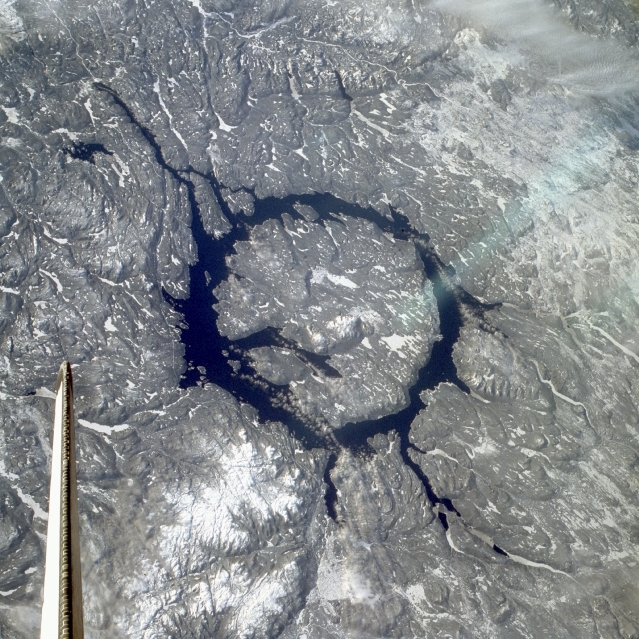 The crater itself has been worn away by the passing of glaciers and other erosional processes. Still, the hard rock at the impact site has preserved much of the complex impact structure and so allows scientists a leading case to help understand large impact features on Earth and other Solar System bodies. Also visible above is the vertical fin of the Space Shuttle Columbia from which the picture was taken in 1983.